The Natural Futures survey team visited Old Wolford Farm on the 10th June 2015, after kindly being given permission by the site owner, Mr Barry Simmonds. The 80 acre site is remarkably varied, and included areas of traditional unimproved grassland, wet woodland and ancient semi-natural woodland. 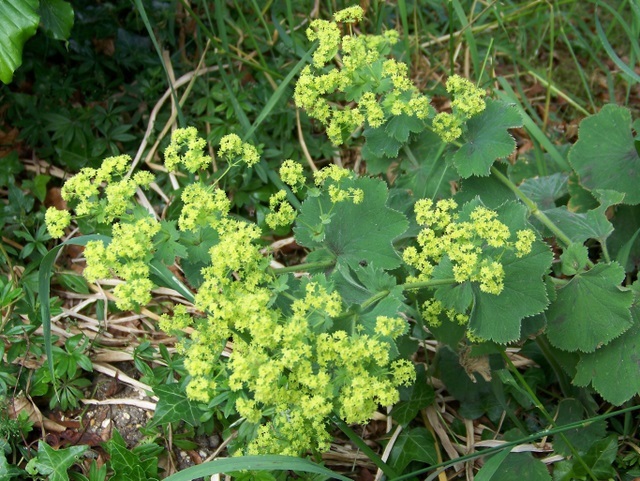 The oldest areas of grassland, which are extensively grazed by traditional breed beef cattle, featured some species rarely seen in modern grasslands, for example the lovely little plant ladies mantle, pictured below. This plant is wild relative of a common garden species, and careful attention to detail is needed to separate the species from garden escapees! 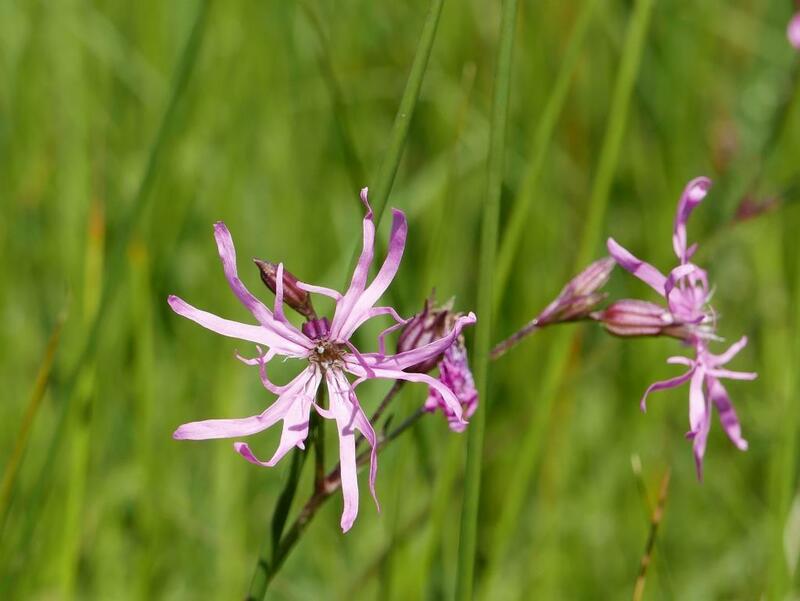 Other species indicative of old unimproved grassland were found, including black knapweed, corky-fruited water-dropwort, and burnet saxifrage, with ragged robin also present in wetter areas. Mr Simmonds has undertaken an extended plan of meadow restoration in other areas of the site, introducing the partially parasitic species yellow rattle, which feeds on grasses, weakening them and allowing other wildflowers to compete more easily. 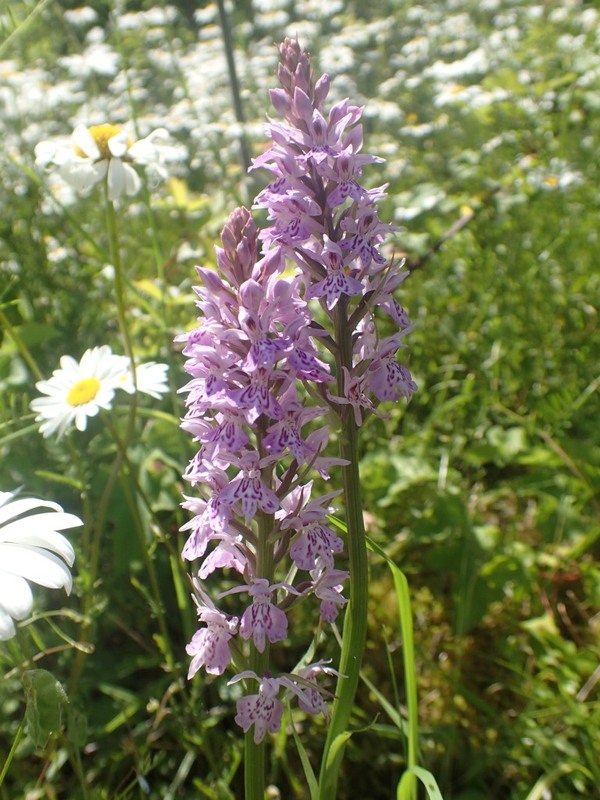 This had really paid off, and some areas of the farm were carpeted in the little yellow flowers of the plant, along with common spotted-orchids, agrimony and meadow vetchling, all of which were benefiting from the effect of the yellow rattle on the grass. Most spectacular of all were the numbers of butterflies on the site, the meadows practically swarming with marbled whites at times. 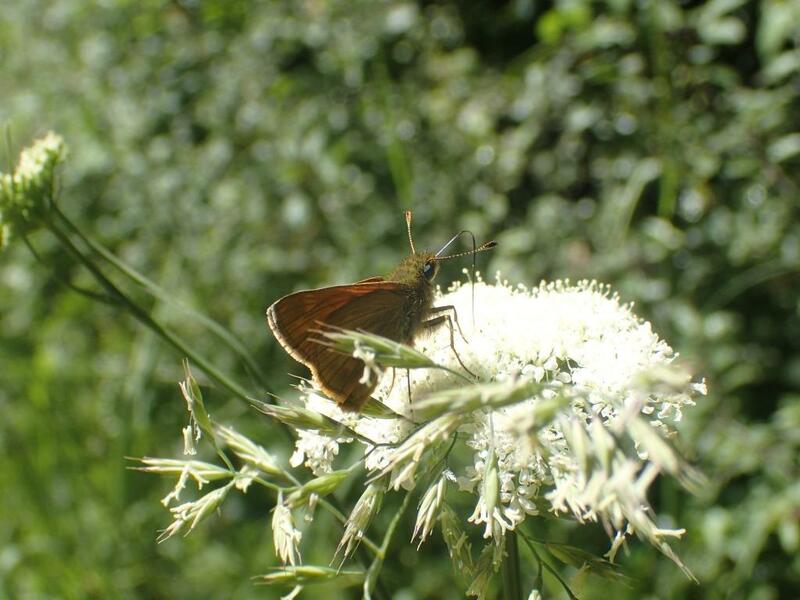 This species has a particularly interesting way of egg-laying, which is unusual for a butterfly. Instead of delicately placing its eggs on a food plant it instead flies over species-rich grassland dropping small white eggs whilst in flight, like a plane dropping bombs. 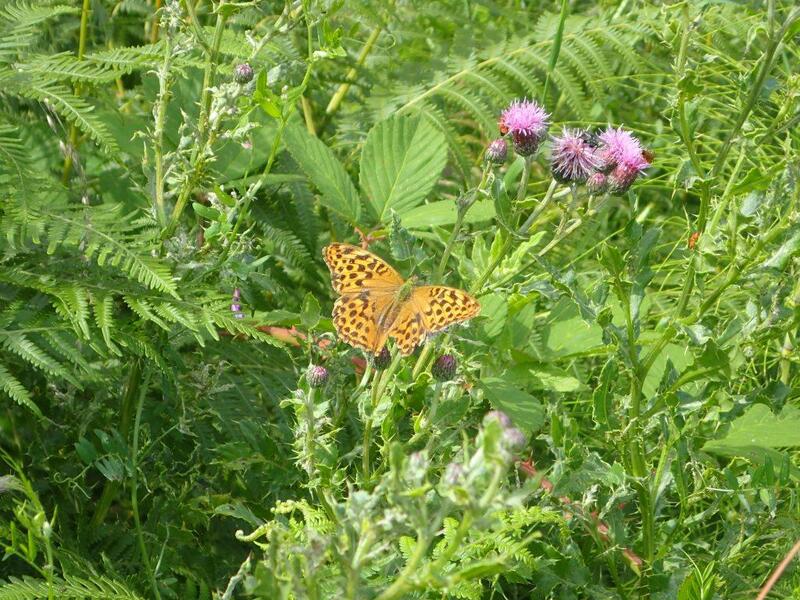 Other species seen at the site included the large, fast-flying silver washed fritillary and a single clouded yellow, a migratory species which comes to the UK each year from southern Europe and North Africa, an astonishing feat for such an apparently fragile creature. Note this site is privately owned and is not accessible to the public without prior permission.